I was watching Llama Llama this morning with my two year old grandson, Christopher, when God decided to use this children’s cartoon to teach me a lesson. Llama and his friends were planning to spend the last day of their Summer break flying their kites. At the last minute, it starts to rain and the kids have to change their plans. Llama Llama is upset because they have to change their plans and stay inside. Mama Llama reminds Llama Llama that sometimes we have to plan to change our plans. WOW! What a reminder! I always thought that I would be a missionary. I have wanted with all of my heart to serve God in a full-time ministry position. I have wanted this since I was a teenager. I am now a 48 year old single mom of 5 young adults and working in the food service department of a local convent. I have worked different secular jobs, but a ministry job has been elusive. It hasn’t been easy for me to sit and watch as others become missionaries or enter the convent. I will admit to being frustrated and discouraged. I have even at times felt hopeless. I have cried out to God in my despair, wondering why everyone else seems to be chosen for a grand purpose but I am left living a mundane life of daily struggles. I have learned three important lessons in this time of waiting. Be Patient– God’s timing is perfect. We need to be patient while waiting for God to reveal our God-given life purpose. There are many reasons that God might want us to wait; we need to work on our character, we need to wait for God to set up our ministry opportunity, we need to learn more about God and grow in our relationship with Him. I am not a patient person! I’m sure that God has shook His head in frustration at my petulant attitude. I continue to grow in this area and I trust that God knows what is best for me. Continue To Grow– God may be waiting for us to grow in our knowledge of Him. God can not use us if we are not prepared. We have to know WHO HE IS if we want set a Godly example in the world. We have to know God’s character. We have to know God’s heart if we want to reach others for Him. By digging into God’s word and by prayer we begin to grow in our relationship with Him and only then can God use the love in our hearts to draw others to Him. Bloom Where You Are Planted– Sometimes our missionary opportunity is right in our own backyard. Find a need in your neighborhood or community and find a way to fill that need. Lead a church wide effort in volunteering at a local homeless shelter, food pantry, or other ministry. Prayer walk around your neighborhood. Reach out to those around you and open your heart to the opportunities that God presents. God often places us right where He wants us. He expects us to be missionaries in our own communities. If we aren’t, then who will be? If we call ourselves disciples, then He calls us missionaries! These are things that I am still working on, hence the lesson from a Llama. Be open to the leading of the Holy Spirit. Even if you are stuck in a mundane job that frustrates you, you still have a unique, God-given ministry to those around you. You are a missionary in your own community! Be patient! Keep growing in your knowledge and relationship with God and bloom where God plants you. He knows what is best and where we are needed most. 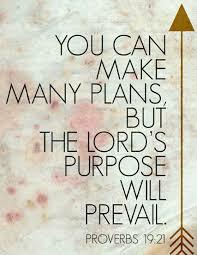 Trust in His will for your life and know that He will always use us if we are willing to be used.